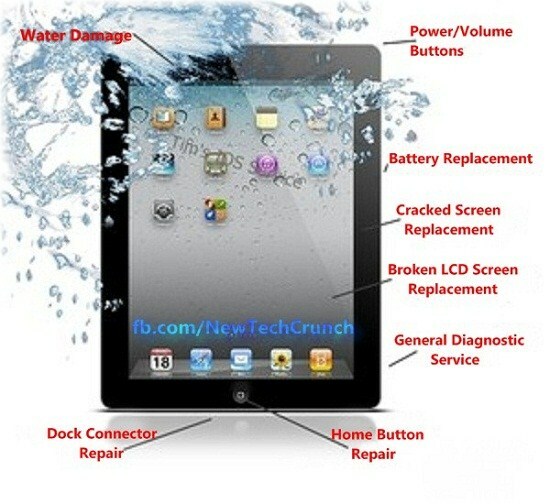 iPad Not Working Due to Water Damage | Here’s What You Can Do! Apple’s iPad is a wonderful gadget to own, but as it happens with every other electronic device, problems are unavoidable. Simple accidental things like dropping your iPad down or into the water can turn out to be quite frustrating; even if small quantity of water gets into it by mistake, it can call for expensive repairs. Having some knowledge on doing the basic repairs on your own can save you considerable amount of money, but once again you must not try it unless you’re completely confident! You need not be an expert or tech savvy to learn these things, but a quick learner to follow the things. Just simple online search can give tons of simple iPad repair guides, which can be comprehended even by a layman. The most common problem reported by customers at the repair centers is that their iPad stopped working because it fell into water.Although the damages caused by water, or any accidental stuff isn’t covered even by Insurance, what the user can do in such situations to keep away from expensive repairs. 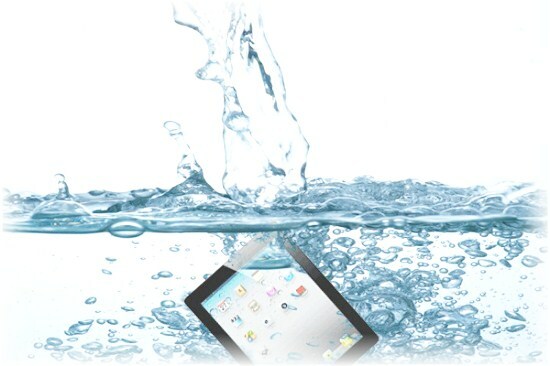 Has your iPad come into contact with water accidentally? In most of the other iPad repairs, DIY guides are recommended to save money, but this is one case where you have to act immediately without waiting to seek help from a technician. So, always try to be aware of what DIY steps you have to take, if your iPad comes into contact with water. Don’t Try to Turn On Immediately! As soon as you realize that your iPad has come into contact with water and has got switched off, don’t ever try to switch it on immediately to check if it’s working fine… This will create a short circuit and pave the way for even more problems. After switching off the phone, dry out the gadget by making use of Silica gel packs as this can help in getting rid of all the water in it. Just place the device in a plastic bag and seat it with the Silica gel packs. 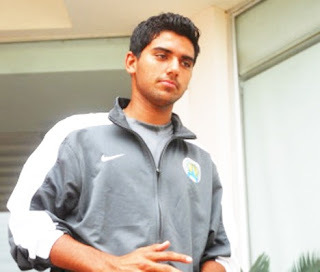 Put it away in a dry place for 2-3 days as it requires atleast so much of time for drying out all the water. If you don’t have Silica gel packs in hand, you can use uncooked rice along with the iPad in a box or bag and seal it tightly. But, get the Silica gel packets at the earliest as this works out the best only within a few minutes. Lastly, connect your iPad to the computer and load an application to check if you can completely restore it. This way, you can avoid more serious problems that could affect the gadget if you don’t try to dry until visiting the repair center. The other method to solve the water damage problems is to use a blow dryer with the lowest heat setting to dry it out quickly. Avoid using the higher heat levels, as the delicate plastics in the iPad may melt at higher heat settings, and it can turn out to be completely disastrous; so this must be avoided at all costs. After following all these steps to dry the iPad, if it still does not work, then it is advised to seek help from a professional technician. Irrespective of the problem you are facing, just make a simple online search on the associated problem and find out if the repair is simple to be carried out on your own. If you feel that it is complicated, then you can approach the service center, rather than experimenting with your iPad and running it totally! Mike has been writing technology tutorials ever since he dropped his iPhone and the service station gave him an estimate of $200 towards repairs. He is an all-out Apple lover, and often writes ipad repair by gameconsoleworld. If you'd like to guest post for US check out our Write for Us page for details about how YOU can share your knowledge with our online community. ipad If you want to sync your Apple iPad 2 so you can put some music or videos from your PC, you are at the right place. Read carefully and follow the instructions how to sync your iPad 2 and PC.